Prepare to embark on an exciting journey that spans 6 continents and thousands of years! This post marks the beginning of our trip Around the World in 80 Models. 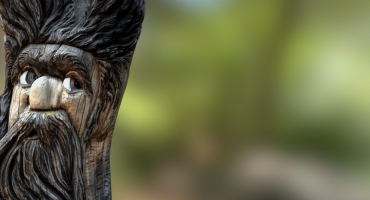 Talented 3D scanners will be introducing themselves, giving us the particulars of how they created their models, and telling us a bit about why what they captured is so interesting and important. Our itinerary will start in Europe, dip south to Africa, head east through Asia, hop down to Oceania, skip across the Pacific Ocean to South America, and travel northward, ending in North America. Join us as we lift off from Sketchfab Headquarters in New York and travel across the North Atlantic to Iceland, where Páll Heimir Pálsson (aka St. Páll) will show us a sculpture in the nation’s capital, and Ireland, where Gary Devlin of the Discovery Programme will take us to a small island for a peek at a series of Early Medieval sculpted figures. My name is Páll Heimir Pálsson (St.Pall) and I live in Reykjavik, Iceland, which is also my birthplace. I earned a Masters degree in visual arts in 1999 and 3D modelling is my profession. I have worked as a 3D modeller for the last decade, but my enthusiasm for 3D modelling started with being able to contribute to Google Earth‘s 3D layer. 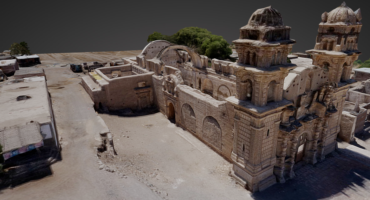 After the launch of 123D Catch and similar software, photogrammetry became a welcomed tool in my toolbox. My equipment consists mainly of a Canon camera and, lately, a quad- and a hexacopter for terrain modelling. This particular model is of the sculpture “The Unknown Official“ (1993) by the Icelandic artist Magnus Tomasson (b.1943). It is located in front of one of the entrances to Reykjavik City Hall in Reykjavik‘s centrum. The sculpture is a popular favourite, as it manages to be both humorous and provocative, while truthfully depicting something that most everyone can relate to, the trivial existence of the working bee. The block of rock is a perfect metaphor for how everyday life crushes down on us, while at the same time depicting the narrative of the faceless official who is only a cog in the wheel, and never a person to most of us. In addition to my Sketchfab model collection models can be found at The 3D Warehouse in the collection “Saint Pall’s Models“. A 5 year project of mine, for the City of Reykjavik, 3D models of buildings and sculptures can also be found at Reykjavik City official homepage. (My apologies. Currently only in Icelandic). To see more of Páll’s models here on Sketchfab, check out his profile. My name is Gary Devlin. I work as a geosurveyor for the The Discovery Programme. The Discovery Programme is an archaeological research institute based in Dublin, Ireland with a long history of working with 3D data. It has been at the forefront of digital documentation within the Irish heritage sector, including being a partner in Europeana 3D ICONS project. 3D ICONS presented The Discovery Programme with the opportunity to choose a number of the most iconic cultural heritage sites in Ireland to record, model and make available online. Over 130 monuments and buildings, including decorated high crosses, the island monastery of Skellig Michael, the passage tombs of Knowth and Newgrange, and the ceremonial landscape of Tara are featured in the digital collection. One of the sites chosen for inclusion was the figures at White Island, a small island on Lower Lough Erne, Co. Fermanagh. Within the reconstructed remains of an early medieval church are a remarkable series of sculpted figures that were recovered from the fabric of the church and its environs. The figures have very distinctive faces with heavy brows, protruding eyes, cheeks and mouths. Almost all of them wear long-sleeve tunics with clearly distinguished hems. Despite these similar features, each figure has particular characteristics. Although not certain, some of the figures have been regarded as depicting powerful members of society (e.g. an abbot, a king) and may have decorated some external feature around the church. They have been dated to the 9th or 10th centuries AD. Landing on White Island with scanner and equipment. The church can be seen in the background. A structured light scanner, – Artec EVA – was used to record the figures. To achieve the highest quality results the surface of the stone had to be dry and the lighting conditions controlled – scanning with this instrument in bright sunlight is not possible. Also the scanner, laptop and generator had to be kept dry – a considerable challenge with the unpredictable weather in Ireland. For these reasons a forensic blackout tent is part of the standard equipment on site, both controlling light and keeping the equipment dry. A processing pipeline was developed by The Discovery Programme during 3D ICONS to produce a lightweight 3D WebGL model, but the first step after scanning is to build the full, high resolution mesh model. This is done using Artec Studio 3D software for alignment, registration, mesh creation; with Geomagic Studio used to perform cleaning and edits to give a final high quality mesh model. Visualisation of final model generated in meshlab using radiance scaling shader. This high resolution mesh model is then subject to a sequence of processing stages, based on concepts from games development, with UV unwrapping – the flattening of the 3D object into a 2D reference frame at its core. This enables the normal maps, visualisations, and textures from high resolution models to be projected onto decimated low resolution versions of the models. This give an appearance of higher resolution model, but crucially with a vastly reduced file size. To see more of Gary and the Discovery Programme’s models here on Sketchfab, check out their profile.